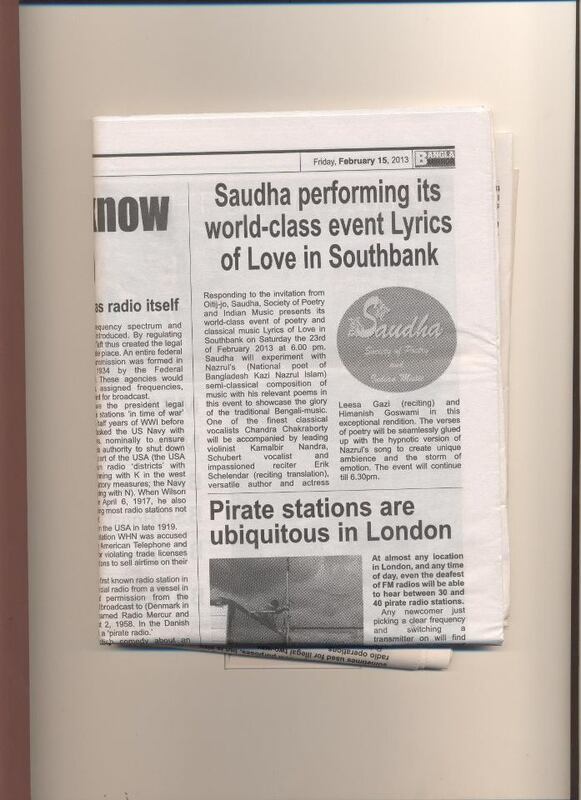 Being invited by Oitij-jo; Saudha performed at OxoTower in Southbank one of its world-class experimental event that delved into the amalgamation of poetry and Indian Clasical Music. 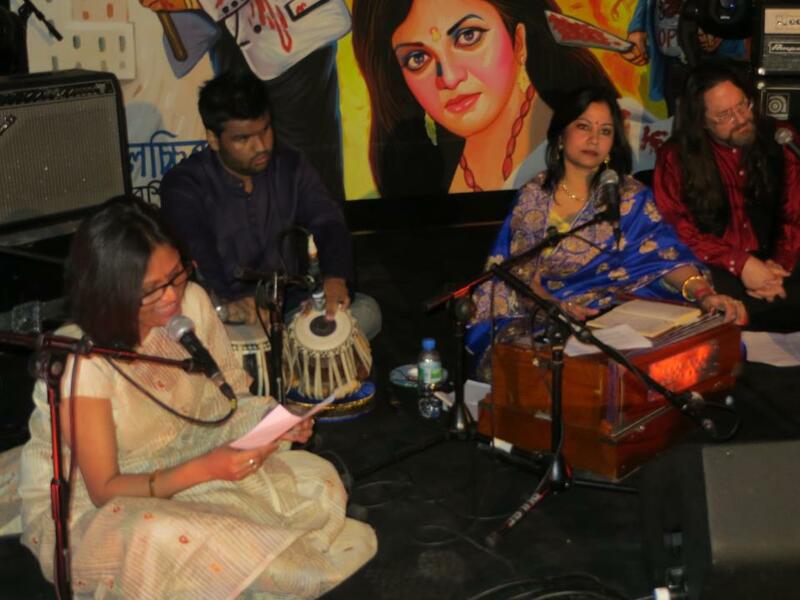 One of the finest Indian Classical Vocalists Chandra Chakraborty sung kheyal, Nazrul Geeti on relevant ragas while verses of Bengali poet Nazrul Islam (both original and English translation) were recited seamlessly and harmoniously by inflamed reciter and Schubert singer Erik Schilander and versatile writer and actress Leesa Gazi (original verses). Chandra was accompanied by prominent violinist Kamalbir Nandra and young talented Tabla Player Himanish Goswami.